Sage 200cloud now receives multiple updates per year, packed with new features as voted for by the Sage community. The 2018 Summer Update is now available. Rest assured you can still run Sage 200 on premise on your own servers in house (and indeed, need to run on premise for your bespoke programming to function), this is a marketing re-brand from Sage only to better communicate their cloud position. The core product is the same that you are used to with added updates and improvements, only the name has changed. An Overhauled Print Spooler. If you have hundreds or thousands of print spool files across one or more companies and have experienced the print spooler in older versions you will know how much of a pain it can be waiting for it to load! 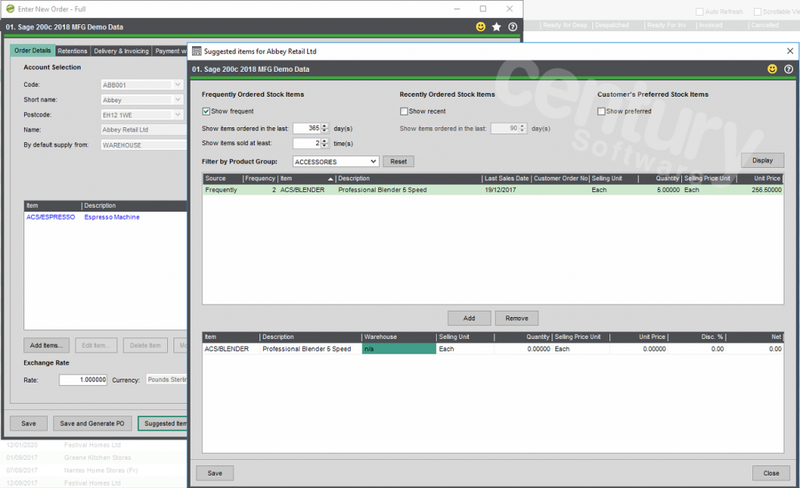 Sage have listened to BP and customer feedback and the new print spooler loads extremely quickly with no lag, even if you have thousands of spool files and dozens of companies. You can now search the spooler and have filters for different users and companies, making locating the documents you want to print a breeze. You can use Cross-selling Items to help speed up entering a full sales order. Cross-selling items are complimentary items which are often sold together with another stock item. For example, if you sell a printer, you might want to show print cartridges or cables for that printer. The customer’s preferred items (you can think of these as ‘favourites’). Items that the customer has recently ordered. Items that the customer has frequently ordered, for example you can see items they’ve ordered at least 3 times in the last 6 months. You can set up Customer Alerts, to show messages on screen whenever you deal with that customer. For example, if a customer has specific requirements, you can set up a reminder message that will be displayed whenever you enter an order for that customer. Scan and attach documents to purchase invoices and credit notes. Now you can attach files and scanned documents when you enter purchase invoices and credit notes. You can scan images directly using a scanner connected to your PC or your network. When you create a purchase invoice or credit note, select Save and Attach. The attachments can also be viewed and amended when you authorise transactions, and when you view transactions in the supplier and nominal transaction enquiries. When you authorise a transaction, or view the transaction in the enquiry, select Attached Documents. Sage Invoice Payments to request and receive payments from your customers by using Stripe, PayPal, or GoCardless. When your customer pays the invoice, the transactions can be downloaded and posted in Sage 200c. Stripe, to receive credit card and debit card payments. PayPal, to receive PayPal payments. GoCardless, to collect payments using Direct Debit. Create and email an invoice to your customer using an Invoice Payments layout. When your customer receives the email, they click a Pay Now button on the invoice, and make the payment using one of the payment providers you’ve set up. Once the payment is received, Sage 200c will download the transactions and automatically make postings. As well as Skype for Business Integration, the ability to view addresses in Google Maps, and enhancements and fixes ‘under the hood’. 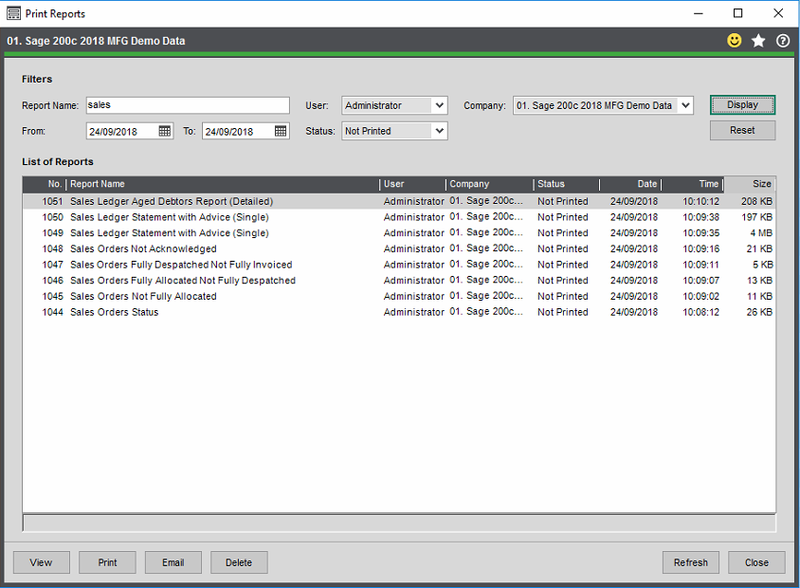 If you’re upgrading from an older version of Sage 200 you’ll also receive all of the new features from the previous seasonal updates such as the ability to hide redundant nominal and cash book accounts, Making Tax Digital (MTD) compliance out of the box, GDPR compliance check reports, Automatically refreshing data lists such as the Sales Orders list, Quotations can now be converted to Proformas, Invoicing module, Rapid Purchase Invoice entry screen, Purchase Requisitions system, Enhanced Transaction Correction abilities without re-posting or manually reversing, Create Returns from Orders, Enhanced Budget Reporting, Bank Feeds, the ability to hide inactive customers and suppliers, Additional SOP Order Statuses and a Sage Contact app for Outlook 365. You can view more information on our Sage 200cloud page. As ever, existing Sage 200 SALP customers can upgrade their version with nothing to pay on the software itself, only our consultancy charges are applicable. Contact Century Software to upgrade.